This combo has (4) activities packaged into one fun unit. 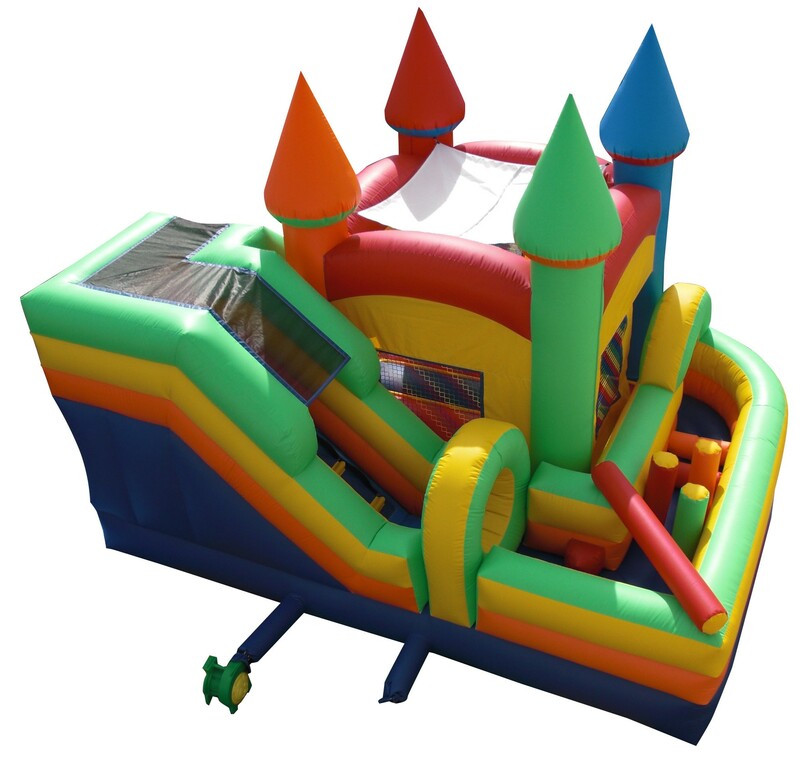 The fun starts when the kids enter the jumping area. What better way to keep them busy having fun? 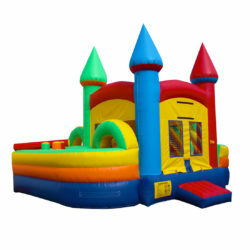 Dimensions: Length: 19′, Width: 18′, Height: 15′, Weight: 425 lbs. This combo has (4) activities packaged into one fun unit. The fun starts when the kids enter the jumping area. From there, they enter the obstacles which consist of inflated humps, pillars, a log above and inflated objects that stick out. After that, they climb to the top of the slide and slide down. Then back to the jumping area. What better way to keep them busy having fun?